Gongura is a plant, and its tangy leaves are edible and quite popular in Telugu cuisine. In Tamil, we call it as pulicha keerai. Even though we see it used widely in South Indian cuisine, gongura leaves are quintessential in Telugu cuisine. Gongura pachadi, gongura pickle, gongura pulihora, gongura pappu are well-known extensively. 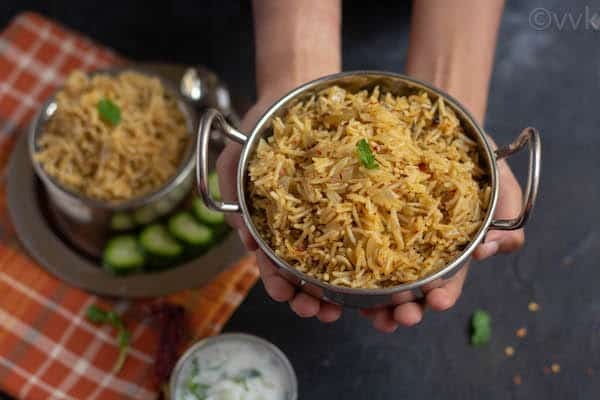 When I was exploring biryanis and pulavs, gongura pulav and biryani came up for alphabet G and instead of using fresh leaves, I decided to use the pickle, and that’s how I came up with this recipe. 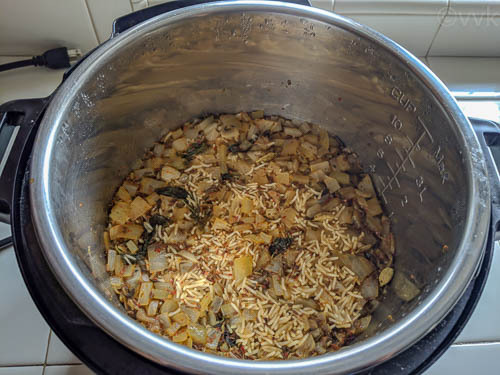 I made this pulav in the Instant Pot and I used the “Rice” preset as I used for my fenugreek leaves pulav. Guess what; this is vaandu’s favorite pulav. The kiddo liked the spicy and tangy combination, and he enjoyed it. 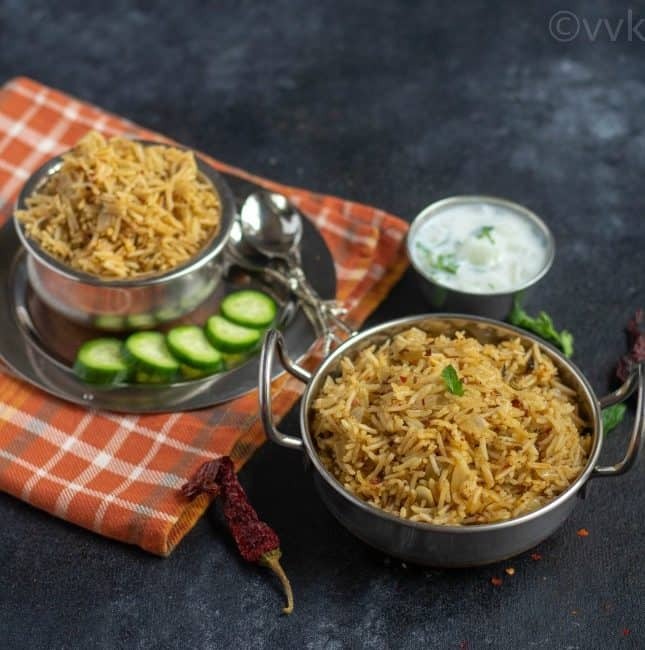 So without any further ado, here is the gongura pickle pulav recipe. 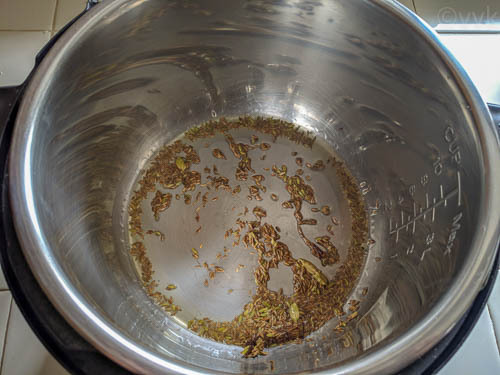 Set the Instant Pot in the saute and when the display shows HOT, add the oil. 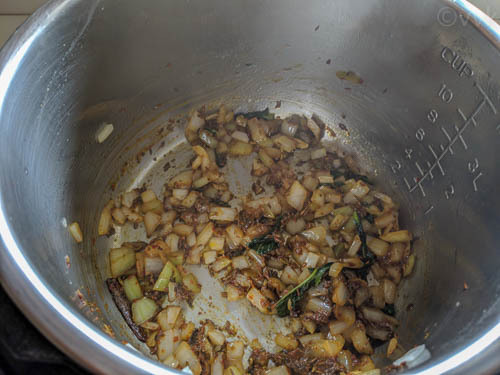 After 30 seconds, add the cumin seeds, fennel seeds, cardamom, cloves, and cinnamon stick. Fry for 30 to 45 seconds. 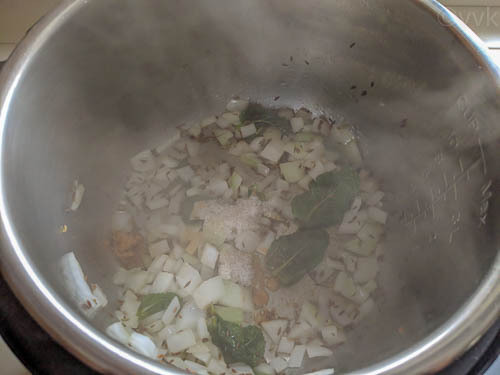 Then add the chopped onion and mint leaves. Saute until the onion turns translucent. Now add the salt and jaggery. 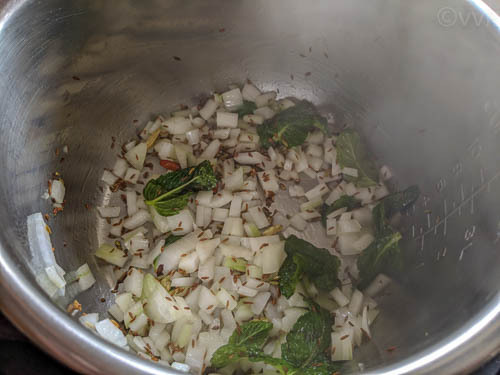 Then add the gongura-onion pickle. Mix well until the pickle is well combined. Add water and mix thoroughly. Make sure the pickle is blended well. Press the cancel button and then close the Instant Pot lid and make sure the vent is in the sealing position. Press the “Rice” preset button and when the cooking is complete, allow the pressure to release naturally. Adjust the salt according to your preference and also depending upon the pickle. 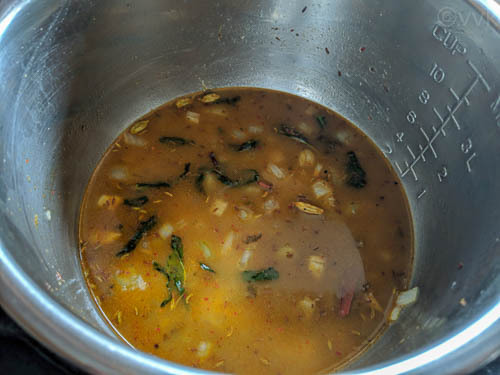 I did not add any spices like red chili powder or garam masala. The pickle was quite spicy. 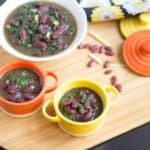 But if you need more spice, then you can include red chili powder or green chilies. I used some red chili flakes to garnish. 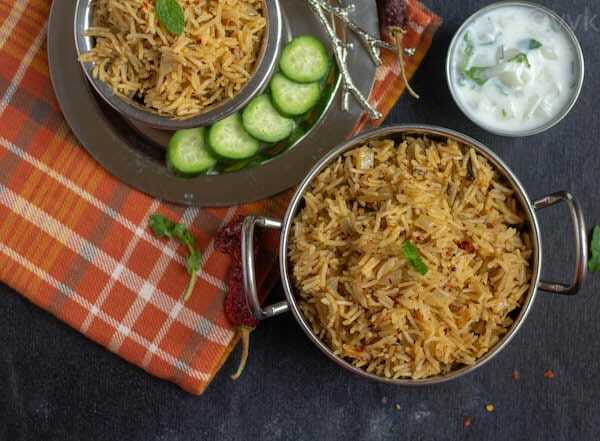 PS: If you try this gongura pickle pulav, please don’t forget to comment and rate this recipe. Also, please check out my videos and do subscribe to my YouTube channel. 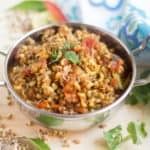 Gongura Pickle Pulav - A tangy, spicy and lip-smackingly delicious pulav with gongura pickle made in Instant Pot. 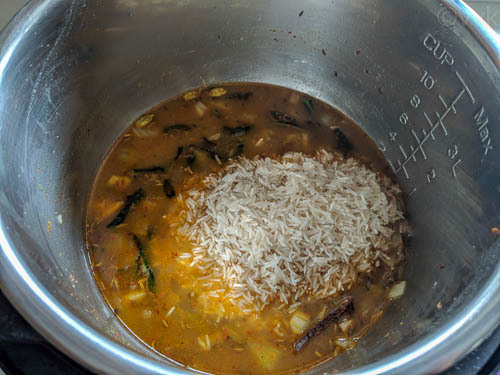 Now add the salt and jaggery and mix well. 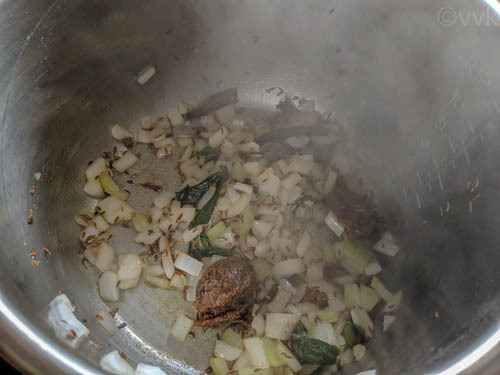 Then add the gongura-onion pickle. Mix well until the pickle is well combined. I did not add any spices like red chili powder or garam masala. The pickle was quite spicy. But if you liked spicer version, then you can include red chili powder or green chilies. I used some red chili flakes to garnish. 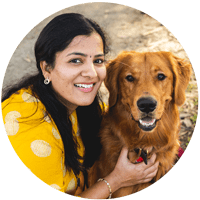 Gongura pickle with rice is such a delicious idea. Your dish looks so tempting. Must try this for my husband who will love it. Awesome planning Srividhya, it never struck me to use the pickle, though for a moment I was thinking of using the leaves, though I already have shared one version. The rice looks out of the world! Thanks a lot Valli. Initially, I was planning to make it with the fresh leaves but I couldn’t get it when needed. So used the pickle instead and it turned out great. I remember Padma serving her homemade gongura pickle during our Chennai meet . A pulao with this should be a step further ! So this is Achaari pulao with a South Indian pickle , wow ! 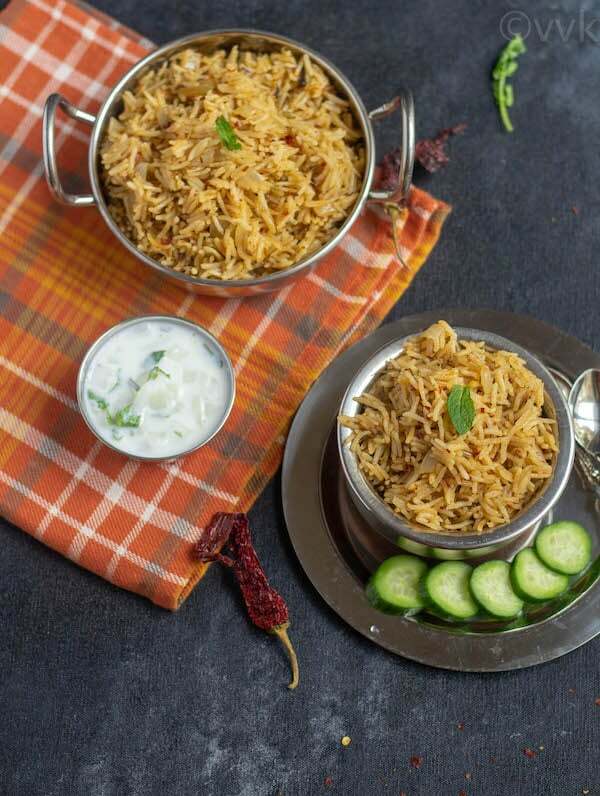 The South Indian version of achari pulao looks absolutely yum Vidya. The tang from the pickle is such a nice flavor addition to the rice. We love gongura in all its variety and I am sure this biryani avatar is no exception. 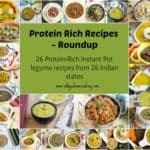 I have different versions of gongura pulihora but this one sounds unique. Shall try it for sure. 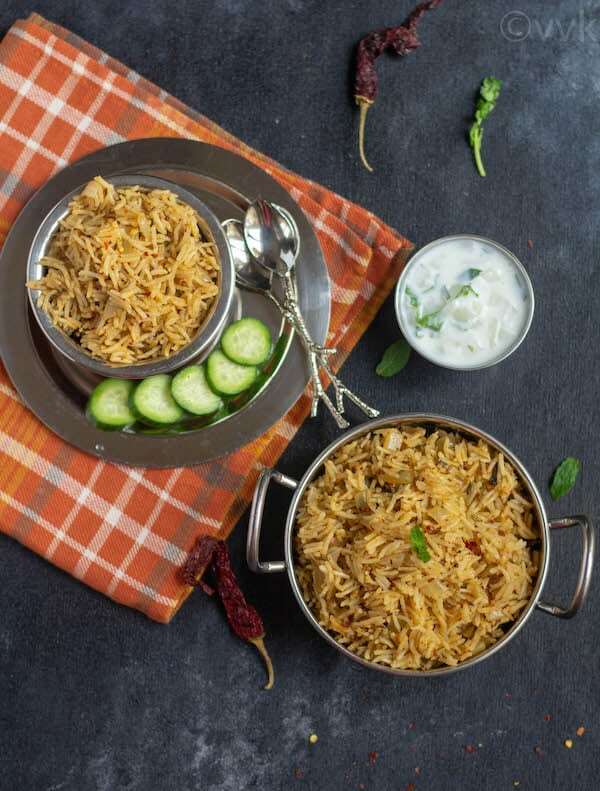 What a yummy idea… Love gongura pickle by itself ,im sure this biryani would have been delicious!! A lip smacking one for sure, being a person from Andhra. 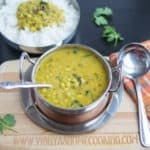 ☺ Though traditionally gongura was used to make only dal, pickle, and a plain curry, now creativity has led to it’s usage in rice dishes as well. 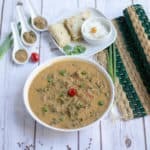 I have tried pulihora a few times. Have to give this biryani a try. Please do try Suma. You will love it. Mymmy mummy pulao with gongura. Looks super yummy. I have made gongura pulao too with mutton coming up later this month.